Anton Volkov, Siberian lycanthrope is following the scent of a young woman. Following her up a mountain in a thunderstorm is crazy. But the smell of her fear brings out all of his protective instincts. When Anton finds her, he is suprised to realize she is his mate, the one woman meant to be his. But Laurel has been abused for the last two years. Being Anton's mate is the last thing on her mind. Can love heal her wounded heart? Laurel Harris just wants to escape from her stepfather's abusive rage. She never expected to be followed and saved by Anton. But now that he's found her he doesn't want to let her go. Could Anton be the protector her mother's ghost spoke of? 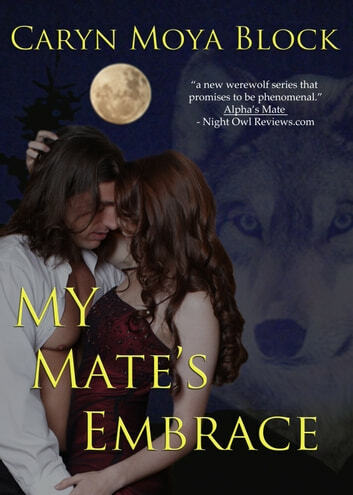 Can she learn to live with a pack of werewolves? More, can she get over her fear and offer her heart to her champion?